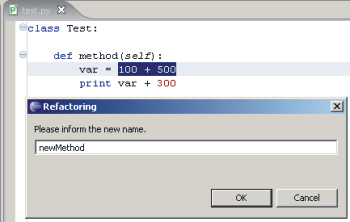 Extracting a method: Let's mark the '100+500' and press Alt+Shift+M (alternatively, you could use a context menu: press the right button and select: refactoring > Extract Method). 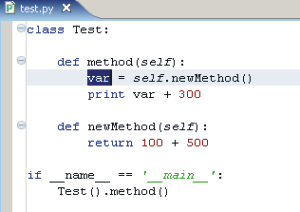 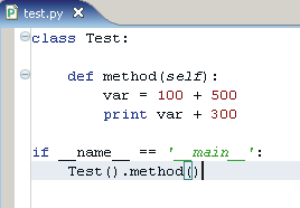 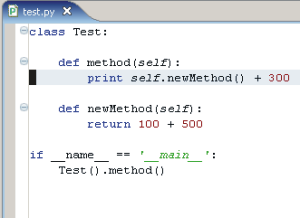 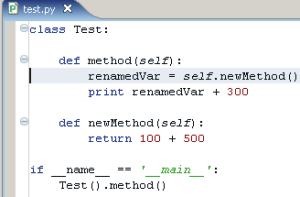 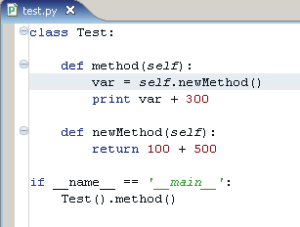 And set the name of the new method to 'newMethod'. 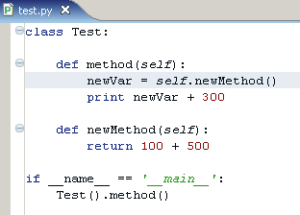 Inlining a variable: Let's say that we are still not satisfied with that, we wouldn't like that 'var' variable, so, we want to remove the reference to it and call the method directly. 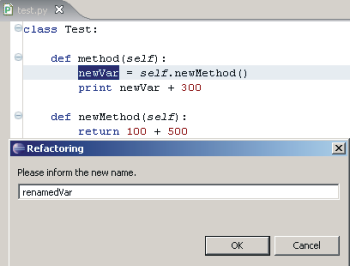 To do that, mark the 'var' and press Alt+Shift+I. 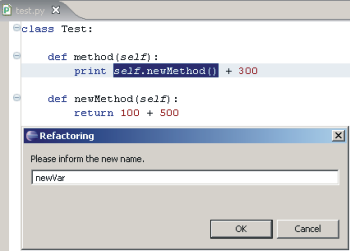 And that's it for the refactoring... hope you enjoy it.